Cherry Beach | Pilchner Schoustal International Inc. 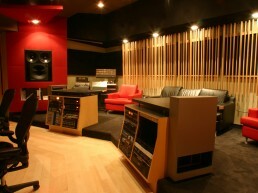 This was a new control room added to an existing studio. To position the control required major structural modifications to the building, including relocation of the main entrances and the development of a new lobby area. The control room features our controlled reflection topology with large soffit mounted Genelec monitors in a 5.1 ITU set up. 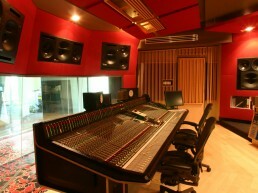 The control room features an SSL console and split effects racks which flank the mix position. Special low frequency trapping is placed in the upper rear corner of the space which also serve as silencers for the mechanical systems. 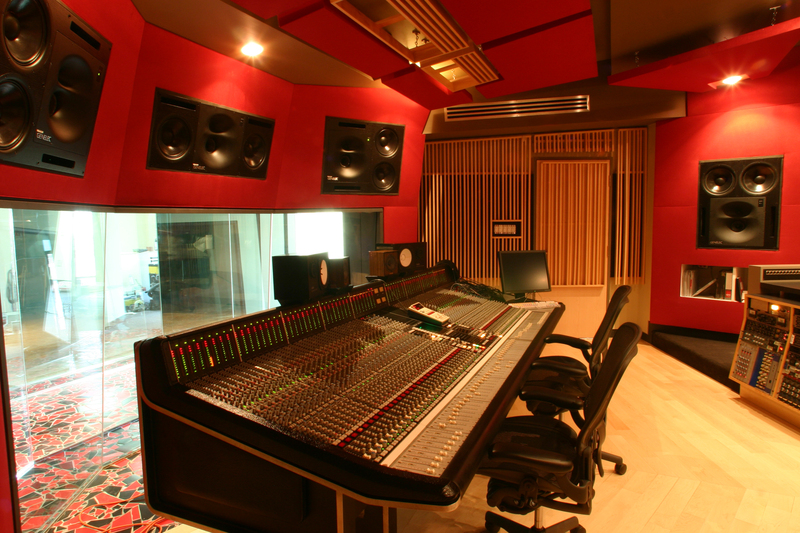 A notable feature of the design is the extremely large front window which engages the control room to the studio. Four separate layers of laminated glass take up over 6 feet of depth and run over 21 feet long including two 30 degree miters per layer. The window also splays upward toward the studio space, and as such incorporated an enormous amount of glass. The make best use of the space, a circulation corridor runs between the windows. 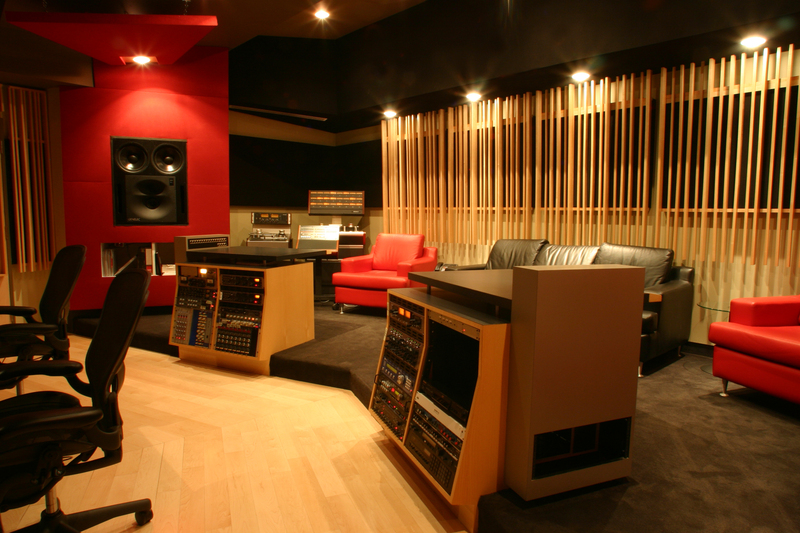 The system in total provided practically absolute sound isolation between the control room and the studio. People having heard the space claim it is the best sounding control room in Toronto.